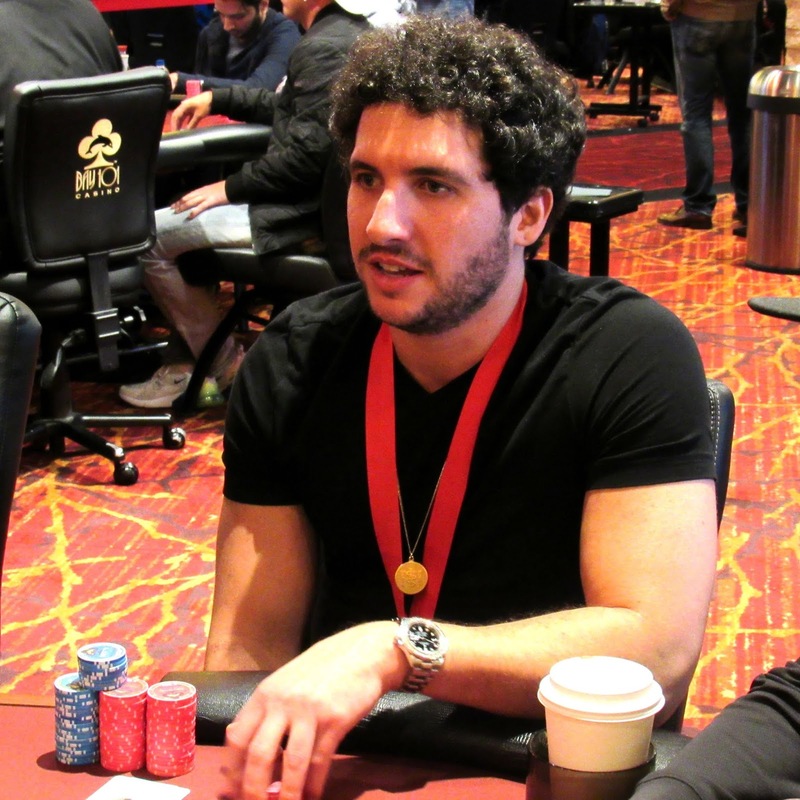 Shooting Star Eddy Sabat is all in for 74,000 from the hijack with the board reading [Kc][Jd][10h][8d]. Sabat holds [10c][10s], and Anthony Spinella has him covered with [Qd][9d] in the hole on the button. The river falls [Kh], and Sabat doubles up to survive with 154,500. Spinella holds 150,500 after the hand. Sabat fades the rare situation where making quad tens would have lost him the hand.